*Please note that originally I was going to do a post for all five categories, but Accommodations got toooo long making it a monster of it’s own, so I had to break the original Basic’s post into two. First we discussed My Disney Experience, ADRs, FastPass+, and Magic Bands in Planning a Vacation to Disney World — The Basics. Now we will go over Accommodations (Disney resort categories. Staying on property v. off, etc.). The first question that you may have is: “Where do I stay?” To answer that, we need to look into what Disney has to offer. They have three main categories of resorts which are based on price point. Cost: The cheapest of the three categories at an average of $150 per night. Price varies depending on season and room type, can fluctuate from as low as $93 to $200. They do have suites at a higher price. Accommodations: The rooms tend to be the smallest at about 260 sf. for the average room. Double beds or a King bed. Themes tend to be very bright. Can be quite a hike from room to main areas. Amenities: Themed pools but no slides. A food court but no restaurants. Bus transportation to and from parks. 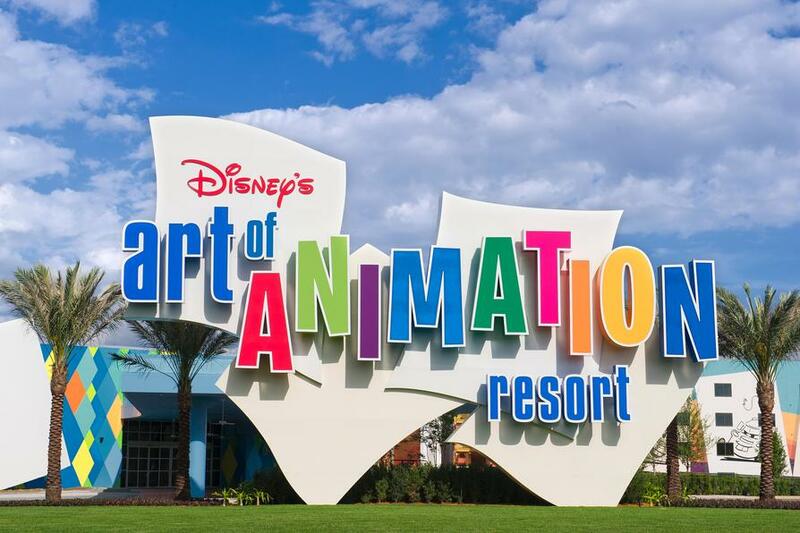 Resorts: Pop Century Resort, All-Star Movies Resort, All-Star Sports Resort, All-Star Music Resort, Art of Animation Resort (Newest out of all of these, better accommodations at a slightly higher price). Cost: This is the mid category with prices ranging from $180 to $290 per night depending on season and room type. They do have suites at a higher price. Accommodations: Room size is about 314 sf. Beds tend to be bigger, decor is themed but nice. Moderate resorts also have a very spread out layout, which means longer walks to main areas. Amenities: Themed pools with at least one slide at main pool. A food court and at least one sit-down restaurant is present in most of them. Transportation is also by bus with Port Orleans also offering a boat. 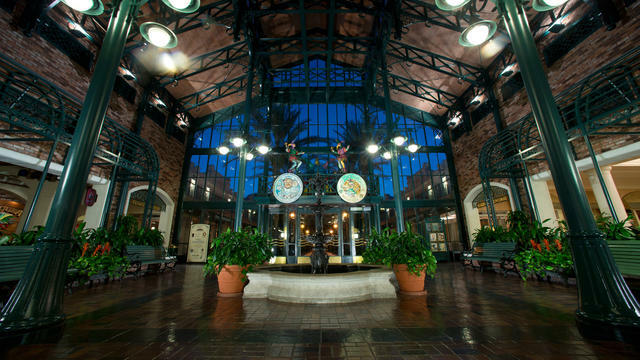 Resorts: Port Orleans Resort – French Quarter, Port Orleans Resort – Riverside, Coronado Springs, Caribbean Beach Resort. Cost: This is the top category with prices ranging from $340 to $835 per night for standard rooms. Wilderness Lodge and Animal Kingdom Lodge are the cheapest in this category. Accommodations: Room size ranges from 344 sf. for a standard room to over 1000 sf. in some suites. Many standard rooms also include a daybed besides the usual two queens or one king, which means these standard rooms can sleep 5 people comfortably. Amenities: Some rooms offer amazing views. The grounds are absolutely gorgeous with great gift shops and amazing lobbies. Includes several sit down restaurants with at least one fine dining option. Themes are more muted in an elegant way. Amazing pools with slides. The main attraction for a deluxe resort in my opinion is location, location, location… We chose the Contemporary Resort for our vacation because of it’s proximity to Magic Kingdom, as in walking distance, as in 10 minutes walk. Not only that but the fact that we were not limited to buses but also had the option of the monorail. In most deluxe resorts you will have more transportation options such as buses, monorail, and boat, plus they are walking distance of at least one park. Resorts: Contemporary Resort, Polynesian Village Resort, Grand Floridian Resort & Spa, Animal Kingdom Lodge, Wilderness Lodge, Yacht Club Resort, BoardWalk Inn, Beach Club Resort. Pros: For a fraction of the cost you can stay at a very nice resort. There are many resorts and hotels all throughout Orlando that will offer you a much better deal. Many provide you with transportation to parks and other Orlando attractions. The amenities can be fantastic; themed pools, great spas, amazing restaurants, etc. It also gives you the chance to take a step away and relax in-between park days. Did I mention the cost? Really the main thing going for these resorts are their price, comparatively. – Free* transportation to and from the airport with included baggage claim and delivery to your room. (Magical Express). – Free* delivery of any purchases you make in the park to your resort so that you don’t have to carry it around all day. – Free* park transportation and parking. – Access to the Dining Plan and Advanced Dining Reservations (only available if you are staying on property). – Access to the convenience of Magic Bands, for payment or room access. *Please note that by Free I mean included in the price of your room. You don’t pay extra for these services. So while it might make more sense to stay off property if you are looking to save money or want a break from all things Disney on your stay, at the end of the day I feel that for a family with young children staying on property is the way to go. Having the convenience of being able to walk to the park and multiple transportation options will make it all the easier to deal with a tired infant. Because of our proximity we will be able to take a mid-day break for naps and recharge so that we can enjoy our night. NOTE: If you book your vacation through Disney you will only have to pay a deposit towards your total trip cost at the time of booking. The full amount will be due about a month before your check-in date. You can make monthly, weekly, daily, (hourly?) payments, it is up to you to set up your own schedule as long as you have it all paid before that 31 days prior date. I know that this was a lot of information! But once you have made the decision of where you will stay you will only need to focus on what applies to your individual experience. Make sure to come back to check out the next post in this series which will be a guest post from Jennifer Cavagnaro, a seasoned Disney traveler with lots of experience and tips to share.